Flee the rigidity of daily life; the rule bound rigors of the ground below, and revel in the escapism of Treehouse. Treehouse is an urban hideaway for effortlessly chic people of taste. Combining outdoor opulence, molecular mixology and staggering views of the Burj Khalifa, Treehouse offers a fresh and elevated perspective of Downtown Dubai. With its rich renaissance décor, lush furnishings and ornate trees, this decadent terrace lounge is styled as a house turned inside out. 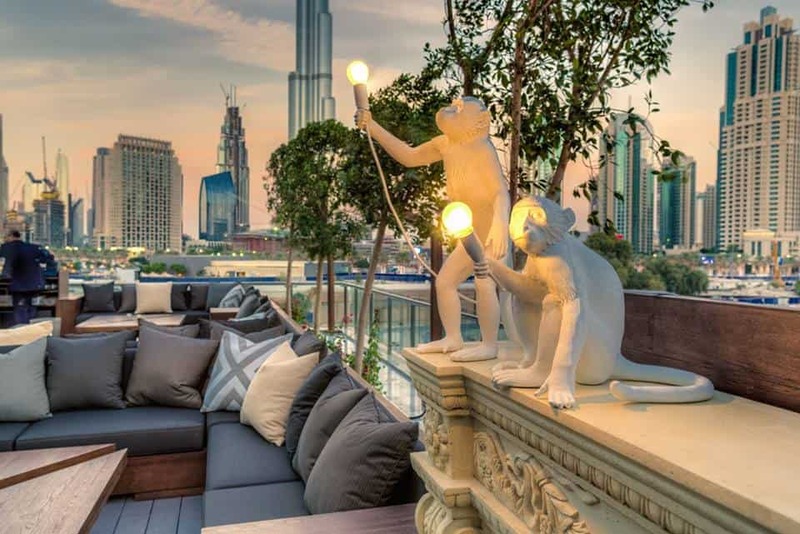 Guests will find this playful hideaway located in the Burj Khalifa’s back garden; uninterrupted views of the World’s tallest tower lend a sense of the sublime, whilst creative mixologists fashion potions with a penchant for alchemy, the signature cocktail being aptly named ‘The Elixir of Life’. An inventive menu of luxurious bites is artfully served in jars and tins and focuses on an element of surprise with each dish. Indulge in bitesize sin in the form of the burrata jar with caviar pearls of balsamic, basil & tomato consommé. The service is erudite and warm, designed to make this house your home. A soundtrack of soulful lounge exudes the ever-present promise of a place on the verge of a party. With its playful persona and stylish aesthetic, cemented by inventive food and beverage options.